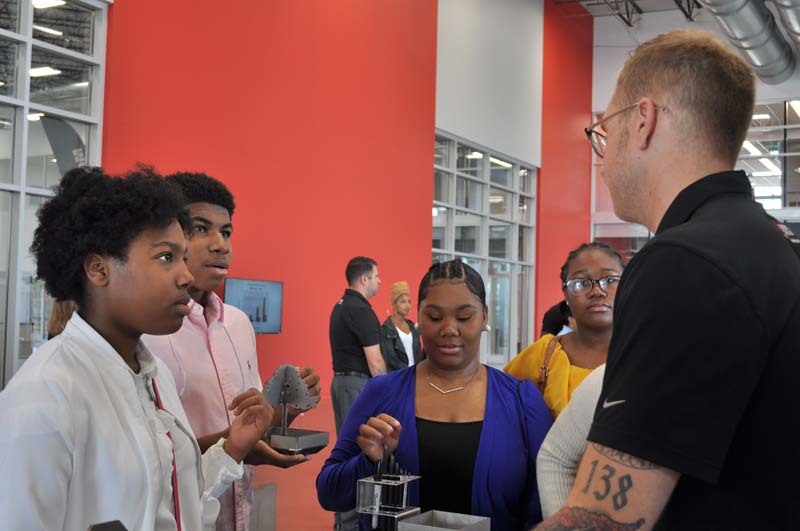 On July 27, MC Machinery welcomed Project SYNCERE, a nonprofit organization which provides STEM programming to youth in under-served communities, to its 175,000-square-foot facility in Elk Grove Village, IL. The event included tours of the laser and EDM showrooms, conversations with the service and applications team and lunch with an expert panel. 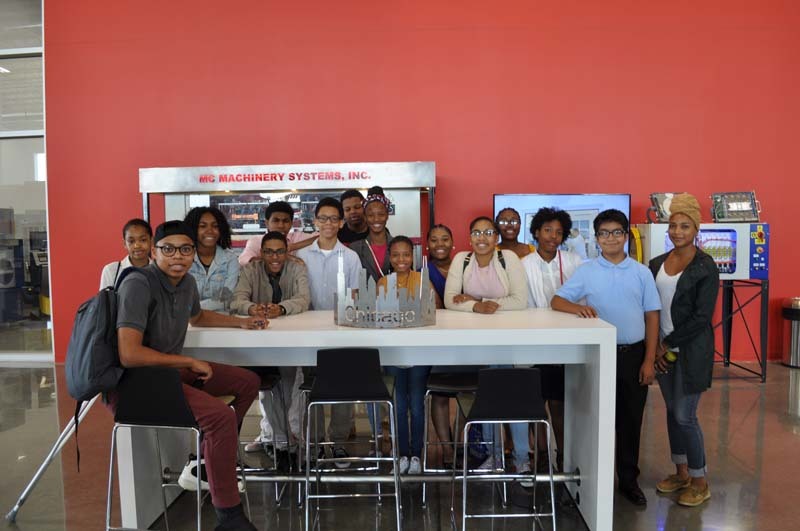 MC Machinery was proud to host 30 students from Project SYNCERE to support manufacturing education. 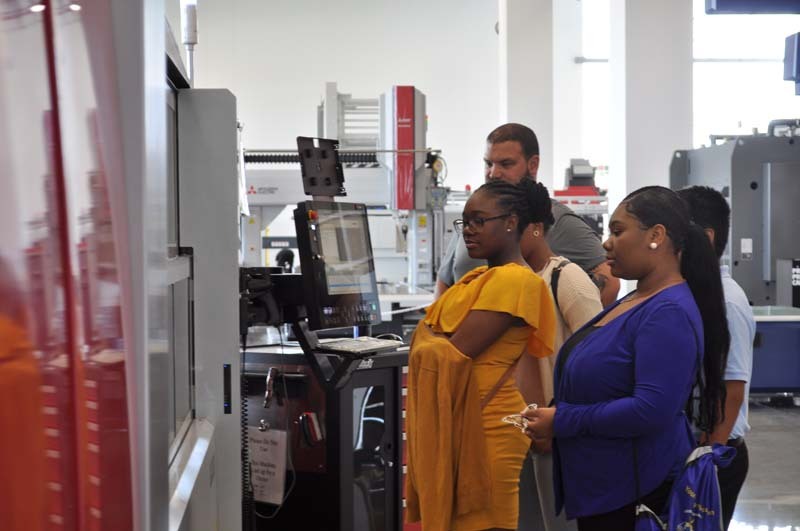 These students divided into two groups of 15 and rotated between the laser and EDM showrooms, allowing them to experience the machines up close and in action. Students were able to see how parts fresh off the laser are bent seconds later into a final product ranging from money clips to butterflies. Being in small groups encouraged students to interact with the engineers and ask questions about the machines and the industry. The interaction continued at lunch with the expert panel that included Bill Isaac, SVP of sales and marketing. Bill shared his story, explained the direction of the industry and answered many questions from the visiting students. By the end of the day, several students had mentioned their interest in working in the industry because of the wide variety of opportunities it presents. MC Machinery was proud to partner with Project SYNCERE on this event and looks forward to seeing what the future holds.